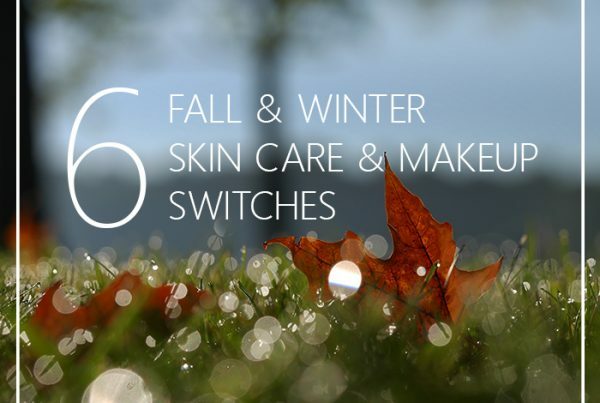 I’m so excited to share with you an over 50 makeup tutorial using amazing natural products. I think this is quite possibly the most juicy, and robust stand-alone makeup video I’ve ever filmed! 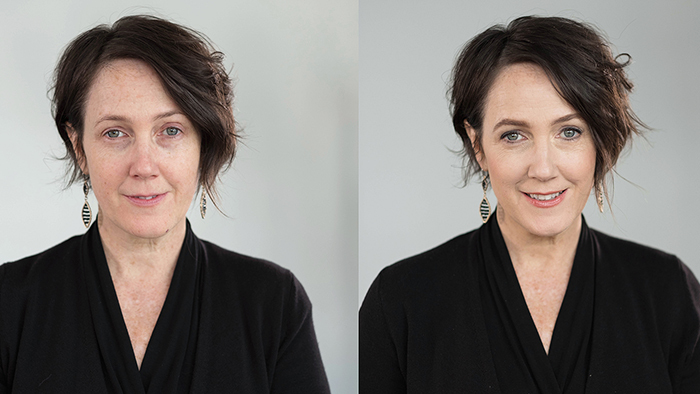 I mean, check out this un-retouched before and after. It’s pretty awesome, isn’t it? I’ve received so many requests from readers about this topic of makeup for mature women. Probably because most makeup tutorials on the web are targeted to a rather young audience. In fact, most of my clients for private lessons are women over 40. The reason is that something happens to your face around that time period of life where you can no longer get away with just wearing a bit of mascara and lipstick. 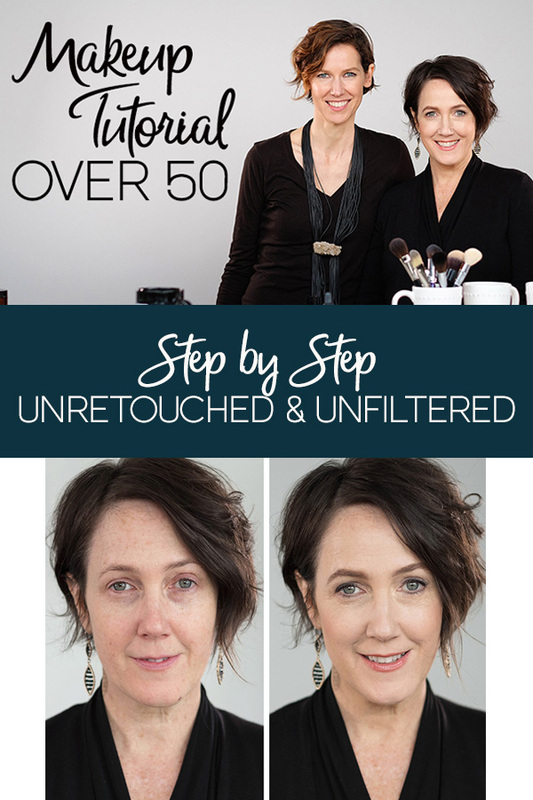 As I mentioned in this video, there’s a fine line between using the right amount of makeup to add back youthful glow and emphasis to your features and over doing it in a way that actually accentuates your age. So I filmed this makeup tutorial with my close friend Lia Griffith, a world renowned paper and craft designer. She’d been bugging me for another makeup lesson for quite sometime now that she’s both over 50 and doing a lot more national TV appearances. We both realized that our audiences would love a look at my natural makeup secrets for women over 50. So she generously allowed me to use her face, studio and had her team work on the whole thing to make it a fabulous final product. I thought it would be edited down to about 8-12 minutes, like most makeup tutorials are these days. But when her 20-something, non-makeup-savvy male editor said he just couldn’t figure out how to cut it down past 30 minutes because there was so much good content, I laughed and felt proud. 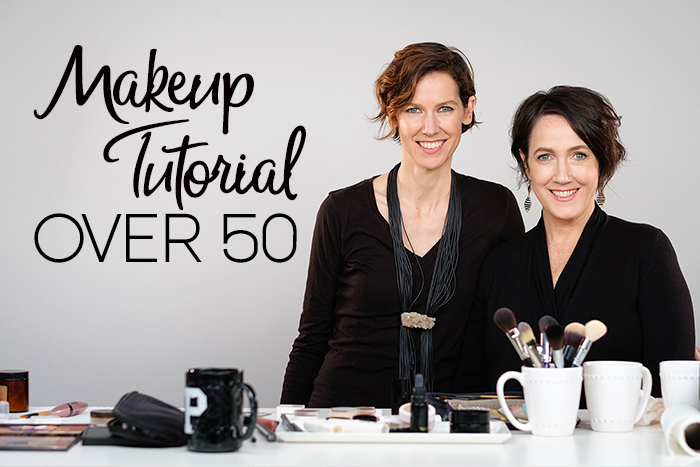 I know whether you are over 50 or not, are going to love the tricks I share and how well Lia and I banter in this Over 50 Makeup Tutorial. Below I also have a list of many of the products I used on Lia’s face in case you’re curious. Because this video was supposed to focus on technique, and wasn’t meant to be about products, some of the items shown are no longer available for sale, which is why they aren’t listed. Also keep in mind that these are what most suit her coloring and skin tone, so use them as a guide. 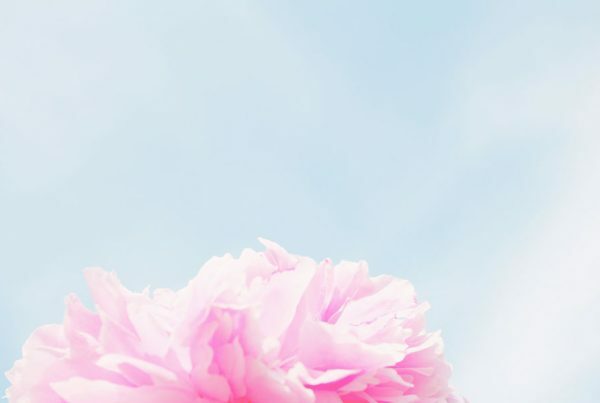 If you would like a personal consultation with me (either in person or virtually) to get more specific tips for your face, you can find out more information, right on the Healthy Makeup Lessons with Kristen page. I’d love to know what you learned and what you liked most about this video, so please leave a comment below! The ultra-rich Honey Berry skin cream you see me using in the video is from Elique Organics is one you actually can’t buy at will. You have to be on the list to get it, as it’s a seasonal, bepoke cream made by top esthetician, Elisha Reverby, using only wild crafted, organic ingredients. Don’t worry, you can get in on the next collection with pre-orders happening at EliqueOrganics.com – let her know I sent you personally! I hope you’ll stay connected with me here and on social media. Make sure you get your a FREE copy of the Toss the Toxins Toolkit and to start cleaning out your beauty bag! If you’re a woman over 40, you’ll also want to grab a copy of my free guide with 10 Makeup & Skin Secrets for radiant, healthy beauty. Lia looks gorgeous! I agree that a bit of colour looks great on mature ladies! I’m in my 20s but I really like to apply my cream blush on the bone too – it gives such a pretty lifting effect, I agree. Plus, the colour looks great on her lips too! I love a good 2 in 1 product – I’ve had W3ll People recommended so often… I’m really tempted by this multi-stick! I had a look at the ingredients and I have to say I’m really impressed! There’s no carmine (crushed bugs), lanolin oil (sheep glands) or beeswax – so I’m glad to see they’re really vegan. Plus, they use such great alternative ingredients – like aloe vera leaf, green tea leaf, and even avocado oil! For any readers looking to go natural (or vegan), we recently posted a piece exposing some lipstick ingredients to avoid. Plus, we discuss future lipstick innovations that will be particularly exciting for natural ingredient fans! Thanks again for this awesome tutorial, and for recommending all of these natural products! Hi, Kristen how are you ? Lately I have been Watching your videos y articles, they contain important information and thanks for your care and willingness to help others to educate about commercial Products, make up etc. I live in a country with hot and humity wheater 10 out 12 Monty of year, so that already is a challenge here, besides that I have dark spot in my face that I hada since I turn 42 years old, I am now 49 turbing to 50 soon, I have tríed al kínd of Products none results I am working now in natural Stuff and trying my inside body to. My question is what is your Recommendation in foundation that is have to be full coverage and orgánic? I love what you do in the videos how ever none of the woman have dark spot in the face and they look wonderfull, thanks and have a great week, I hope you answer my question. I found the video that Lia posted first before running into your version of the same video. I, too, am in the same age group and true enough my skin has lost a lot of its elasticity, dry in spots and pores are more pronounced. I don’t usually put makeup on my face as I have not really gotten used to doing it on the daily but would love to learn the proper way to apply makeup from beginning to end starting with a just cleaned face and would love to know the products you use on your clients, as well as yourself. I love the fact that the products you use are all natural! I do like the dewy, luminescent, or at least satin finish look but not shiny. Please help me in this endeavor! P.S. I think I should tell you that I am Asian American whose skin is on the darker tan side. Hi Mila! I’m so glad you commented on this and took time to share what your challenges are. I’m thrilled that you found me too and are excited about natural products. I’d be happy to help you out either with a private consultation which you can find here or in my upcoming online live workshop. Info for that is here. Can you suggest a multi use color stick as a blush and lip color? I really really REALLY love you and all your great advise but please lets CEEBRATE our ages!We are certainly not old / seniors/mature elderly ect! LOL we have some wrinkles but hey I know 20 somethings that have them too! Lets remember we are only as young as we feel and at 52 I feel better than I did at 25! My Gram was from Savannah a true southern belle- when she passed away no one really knew how old she actually was- she always told me to stay out of the sun, use rose water on your face, your neck was your “second face ” – she had so many great things to say and her skin was amazing until the day she died she looked like a million bucks! Her best advise was do not get caught up on the number of your age!!! BE YOUTHFUL ! So let us all practice celebrating our years!! Hi Lisa! Thanks so much for your comments, the love, the celebration and the sharing. I hope you saw and felt that I not at all about getting down on getting older in that video or any of the other videos/articles I’ve got which address age. If you do think that for some reason I was implying that old is bad, I’d love to know where you felt that way. I fully agree with you about the being youthful as the goal. Your Gram was totally right about not forgetting the neck and chest area – it’s so important to treat it all with good care. Maybe a lot was tongue in cheek LOL- I just feel like I am loving my life more now and not worried about little things like I used to be – But I want to look and feel great too!! I would love to set up a time to talk about my make up how exactly does that work via skype ect? Feeling great about yourself seriously makes you look better too!!!!!! I enjoyed re-watching this video again. I’m curious about a couple of things. The Well People foundation you used, do you think it would work in the winter in Pennsylvania? I saw a video you did recently and I thought you said to put the powder foundation away this time of year. I’m using a liquid mineral foundation instead of the loose powder I was using, but I don’t get the coverage I need from it, it’s too lightweight. I know in another video you mention the new one by Sappho, but coconut oil makes me break out. I can use it on other parts of my body, but my face not so much. concealer towards the end of the video, you used a fuller brush. Where can I find that brush. It did a beautiful job. I think I need some of that concealer. It looks amazing. That video was not intended to show products at all, so unfortunately after editing (and seeing how much the guys left in that I thought would be cut out) there were some items I used that are discontinued and no longer available. That’s why they are not listed. Including the brush. It was an older one from Sappho also (the eye crease/contour). I hope that helps!! Thanks for such a great video! I’m wondering which shade of Twilight Madness you used. Can you tell me what colour of W 3LL PEOPLE Universalist Multi-Use Color Stick was used in the tutorial, I loved it! Also what lip liner was used. Excellent tutorial!!!!! I am hard of hearing and I was disappointed there are no ‘captions’ on the video. From what I watched it looks good, I just feel I’m missing out on the tips and explanations. Hi Elle, this is the first request I’ve had for captions, and I’ll keep it in mind for future videos. On something this long it would cost hundreds of dollars to do, and or tremendous amount of time editing through youtube’s software. The most important part was the visual anyway, and I am glad you could see what we did also. Hello Kristen, I have been on the lookout for a great “green and natural” cream or liquid foundation for several years now. However, finding something that performs well has proven to be a bit elusive (I like the dewey, luminescent, or at least satin finish–no matte for me) . I appreciated this video you did with Lia, since I fit the age category, and relate to the skin changes that seem to be occurring (after a lifetime of oily, acne prone, sensitive skin, I seem to be getting drier, yet still sensitive and acne-prone) . I looked up the foundation you used with Lia (Gressa) b/c it seems to do a nice job at covering, with a small amount . It seemed promising as a lead to something great… However, this foundation serum does contain silica, which I have been informed can be an irritant to acne prone skin. And after trying Faierie Organics face primer with Silica in it, I did find this to be true–I did break out. https://www.faerieorganic.com/product-page/organic-glow-veil It’s a disappointment b/c I liked how it performed before I broke out. What are your thoughts on the silica in the Gressa corrective serum foundation? Silica does seem to be present in many natural foundations/primers that I’ve looked at. And what do you think about the W3ll People Narcissist Foundation stick (new formulation )as an alternative to the Gressa corrective serum foundation? I have been a celebrity makeup artist since 1979 and I have got to say that I LOVED watching this tutorial so much I shared it on my Facebook page. Watching you do this tutorial was like you climbed into my head and I was watching myself! You remind me of a younger me! Through all these years I have never seen any tutorial that I have agreed with more. It’s the best over 50 makeup tutorial I have ever seen. Good job! Wow! Cheri, I appreciate this so deeply. It’s makes and already wonderful compliment even more wonderful when it comes from a colleague who knows there stuff. Where are you based now? Hugs!! I adored this video, especially seeing the relaxed banter between you both. I am from Australia & sun exposure is a real concern here. I was wondering if you could recommend a sunscreen & at what stage in applying make up should it go on? Would you please disclose the moisturizer that you used on your model? I just found your tutorial and I love it. Thanks so much for sharing! I have been on the look for natural products for so long… I must confess I am one of those who thought Tart was good. Ugh. Oh I’m so happy to hear that! Yes, a lot of people have been duped by Tarte’s marketing. I’m glad you found my post on that too. There were 2 foundations used and listed. Gressa, the liquid, and then the powder from W3LL People. I hope that clears things up. I’d love to work with you to find a way to honor your skin’s needs and get you makeup that looks fabulous too. Don’t hesitate to reach out if you’d like to book a virtual consult! A lovely vid and instruction but if you know going green is important it seems a big miss not to go cruelty free as well. Our responsibility to fellow creatures who are exploited is important, especially for something discretionary like makeup. Glad you liked the video! So which products do you believe aren’t cruelty free from the ones listed here? This was a great video. I have a lot of trouble figuring out what colors to choose especially since most green products are online. I would love to get tips for African American skin tones and what colors to use. Very nice video, thank you for sharing your tips! I have a question regarding foundation… I have moderate rosacea and I have a hard time finding something to cover the redness. I always feel like I have too much makeup caked on just to cover it up. Do you have any suggestions? Try the Sappho new paradigm line that Kristen recently covered in a winter make up video. I have rosacea as well and it works great. It’s super moisturizing, gives medium to full coverage, is a semi matte finish, and looks like your skin but better. I used other products recommended by Kristen under it: indie Lee squalane oil (a non-greasy oil that dries in about a minute and fills in patches nicely) and dr.alkitis day cream(Kristen recommended the night cream in an older post, but my skin is dry not very dry). I used a foundation brush to apply it and it was amazing. I sampled different colors via detoxmarket.com What’s nice is the brand founder made her makeup to work in movie sets, but at the same time it’s super natural, as she creates it using minimal heavy metals.Hope this helps! If you’re trying to cover break outs and rosacea and your skin is unevenly pigmented, so you want a heavier coverage, the tinted moisturizer Kristen recommends is awesome too: Pacifica dreamy cover foundation—available at many natural food stores, and Target..and it’s more affordable at $15. Just make sure to use a sponge or pat that one in with your fingers, as it’s thin and not as moisturizing, so if you’re flaky anywhere, it’ll look more flaky if you really rub it in. Loved the video!!! All great tips for the over 50 crowd! I would love if you would address using sunblock and make-up. If I only use moisturizer, the make-up looks so much better on application. When I use my mineral sunblock, my make-up application just isn’t the same. Would love some tips on make-up over sunblock! Thank you! Hi! What a great video! Thank you. What gel eyeliner was used in the video? Oohh thank you too! Um, it’s a secret. It’s not out in the green beauty market. :-/ Sorry! Originally I didn’t think the editor was going to show any of what I was using and have it be so long. But when I saw it, I let it go because it was so good that way. Well, it is a good video so the length is fine. 🙂 Thanks for replying. Just wish I could find a good green beauty eyeliner. What a fantastic video!! I learned a great deal and went on to read a few of your other articles. I noticed something though and wanted to ask you about it. I love the W3LL People Universalist Multi-Use Cream #3 you used on your “model” and went to check it out (after reading your article on Tart that is) and being someone who goes to the ingredients list I went to this one and noticed, right there at the bottom, Carmine….So, I am curious about that. You commented on it being from crushed beetles in the article and that its bad but are using it on your model (obviously a different company), have you changed your mind about it since you wrote the Tart article (sorry, I failed to pay attention to the date that particular article was written)? Thank you SOOO much for all that you do!! Fantastic website! Hi Lucy! First thank you for the compliments and I’m so thrilled you are loving the content. I can see why you’d be confused about Carmine. I had an issue with the fact that Tarte markets themselves in a tricky way that leads customers to believe they are both cruelty-free and vegan. So it was one aspect of poking holes in their marketing trickery. Carmine is a personal choice and it’s the only natural option to a synthetic color for certain shades. I hope that helps and you keep following me here!! Love your contributions. Thank you so much for clarifying that for me!! I have heard that carmine is really the only way to get a true red for those who DIY products they use. I admit I have not done the research on how they derive the color from those crushed beetles but I’m sure it would be an interesting read! I will definitely continue to follow you! My daughters and I have a small little natural beauty company in Oregon, (tiny and new) and so looking at the best websites help us to understand what people want and need and not just think they are our own kooky far out ideas! We are so in love with natural and organic products and are working hard to stay small and stay clean so that we can grow well and keep it real and honest. Thank you for providing such great information and inspiration to so many! I wish I could bottle your information and bring it to my dining room table for a sit down! This was great. I’m 40 something but could still use all the advice. Which gel eyeliner did you use? This has been a hard green find for me. Thank you! Hello from France! Do you know our organic brand? What is the best wrinkle cream, for face and around the eyes I am 72 yrs old, Thank you, for your time. I hope I’m not too late in the game for responding to this. I was just watching it and a couple of things – those pots weren’t RMS concealers, were they??? My RMS pots just never look that creamy. Secondly, I read somewhere that women over 50 shouldn’t use browns in their crease because it makes their eyes look too sunken? Haha! Yes, they were Hynt concealers. And we used grey rather than brown in this tutorial because I felt it added shade and lightness as you mentioned before. It’s all about subtly, so brown isn’t necessarily off limits. Oh my gosh! I can’t tell you how thrilled I was to finally see a video for those of use over 50! I loved every moment, and I’ve watched it a couple of times. Love the tips, and the final result! Lia looked fabulous. Kristen – are you ever in the Chicago area?! I loved this video too and am in Chicago! If you come here, put me on the list of people who may be interested in a consultation with you! Love this! Thanks for the tricks and tips. I have also been experiencing dropping eyelids as I age. Any tips on how to address this? Any time I try to enhance the eye crease , it just gets covered up by my eyelid fold. Hi Wiggy, Thanks for watching an loving this tutorial. Yes! So many of my clients deal with the same issue. I did a live video on Facebook a while back on how to work with hooded lids. If you go to my fan page, scroll through the videos section and you should see it there. Oh I’m so happy to hear that, Gwen!! Thanks! Let me know how it goes. This is a great tutorial. Lia looks lovely and so do you, Kristen! Well aren’t you a sweetie?? Thank you very much, Tara. Love this video! Lots of helpful tips! Kristin, thank you for this video!!! Helped tremendously as I am in the over 50 group too!!! My coloring is very similiar to your friend Lia. My eyes are a little darker (green/brown hazel) Was wondering if the Twilight Madness TM-27 would be too dark to use as you did in the upper eyelid shading and at the lashline… Would appreciate your thoughts. Hi Gwen, it’s hard to say without actually seeing you. And it depends on how dramatic of a look you’re going for. The darker the shade the more drama, you’re creating. Girl, you need to come to Nashville!!! We could use your help!! This is great and I learned tons. Thank you!! OK – I will take that request very seriously. I have a group of folks in Nashville who probably agree with you, Jane!